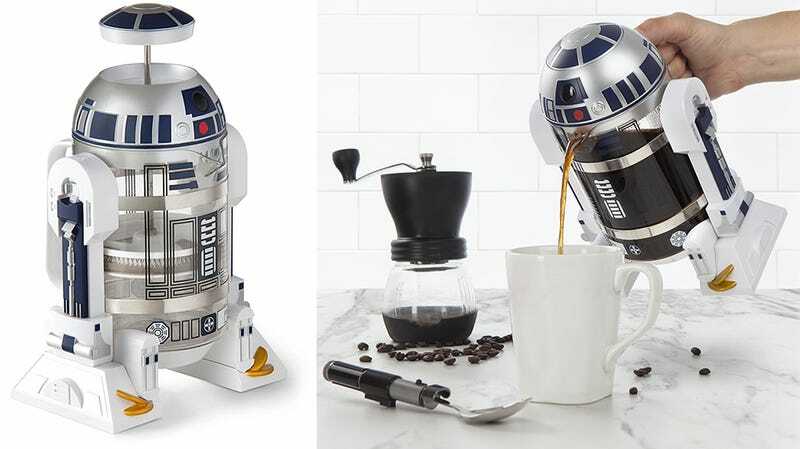 It’s another ThinkGeek original (and officially licensed) Star Wars creation designed for your kitchen. If you’ve been following along, by now your drawers are probably teeming with items like a lightsaber immersion blender, but you’ll probably want to leave this R2-D2 sitting on your counter. Like any coffee press you add your grounds and boiling water and after a few minutes of brewing followed by a quick plunge, you’re left with 32-ounces of joe, about four cups worth, which is maybe enough to keep you fueled until about 10am. The press will be available in early November for $40, and the whole thing is dishwasher safe which should make life easier when you eventually get around to cleaning it.